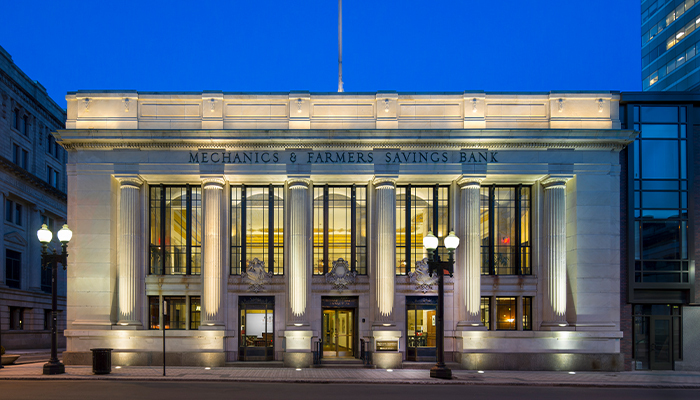 Viking Construction served as general contractor for the historic renovation of the iconic Mechanics & Farmers Bank, a 3-story landmark structure that encompasses an entire city block in downtown Bridgeport. 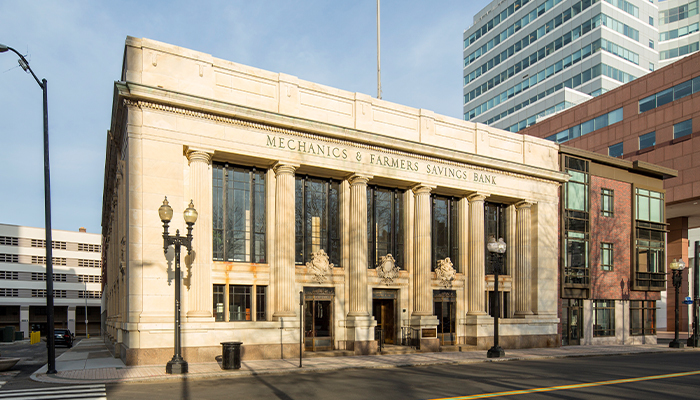 The structure, which was originally built in 1930, had been vacant and neglected for more than a decade prior to the renovation. 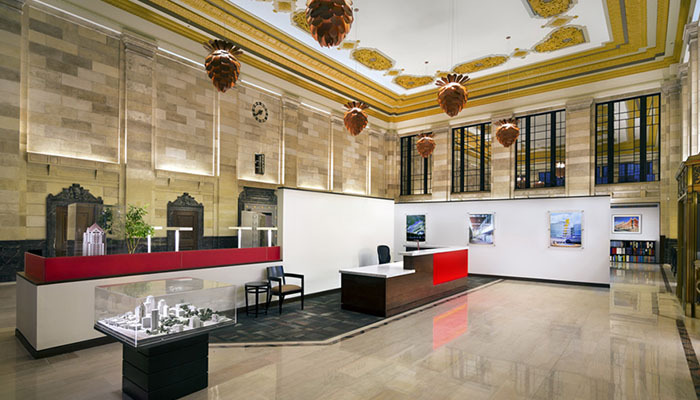 As a result, the 70,664 square-foot project included extensive repairs and upgrades to the building’s façade, interior and mechanicals, as well as extremely detailed repairs on intricate plaster ceilings, restoration of original windows, repurposing of an antique bank vault, and many other specialized services. 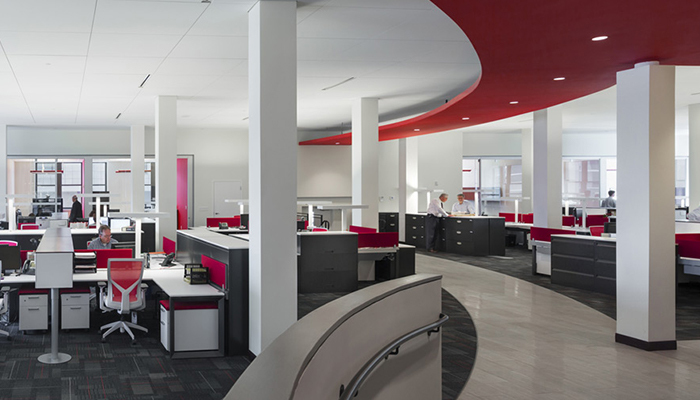 A 2,453 square-foot addition to the building completed the $9.3 million project which is now the home office of the Fletcher Thompson architectural, engineering and interior firm. 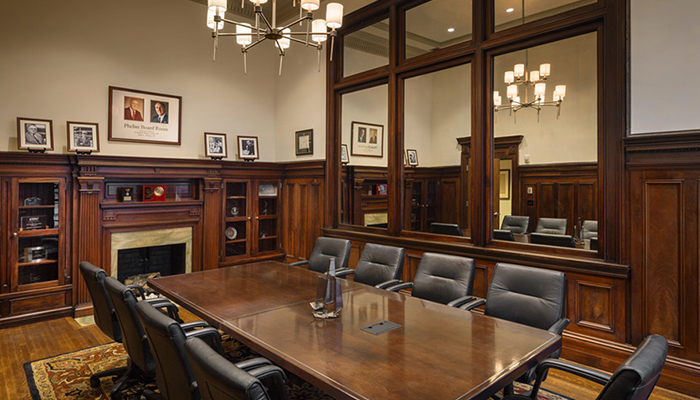 The building also includes 30 high-end apartments overlooking McLevy Green (known as the Landmark Apartments), along with 24,346 square-feet of office space. 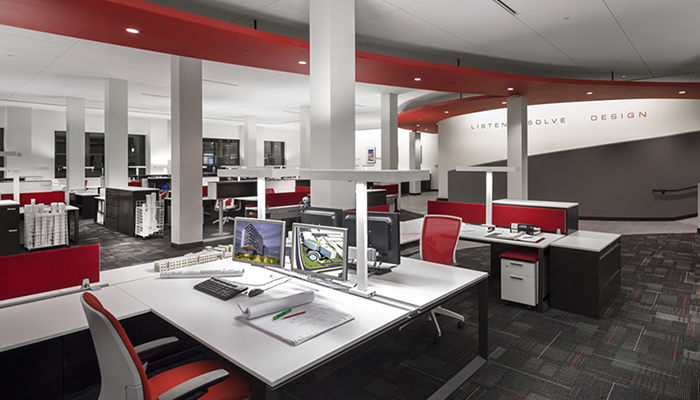 The project was completed in October 2014. The American Legion Veterans Housing, Inc.